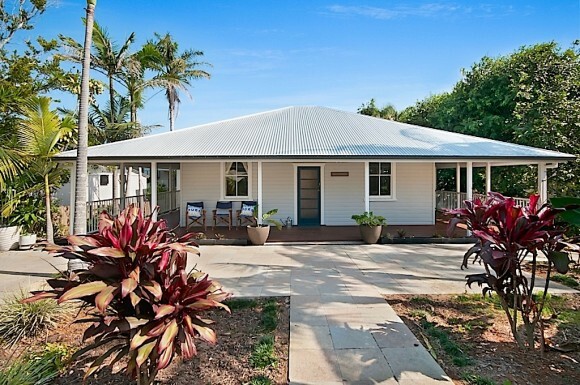 Byron Bay Holiday houses & winter deals available at Byron Bay Holidayz. Accommodation at Byron Bay Holidayz has never been cheaper with winter deals and specials going across our whole range of accommodation from Holiday and Beach Houses which vary in size, location and luxury. Byron Bay Holidayz has a wide range of houses and cottages, perfect for extended family reunions or a friends get together. We also have a selection of houses that are pet friendly and suitable for couples or the smaller family. Byron Bay Holidayz have Holiday Houses close to the beach or town, making the car optional as town and main beaches are just a short stroll away. For those who like the bush surrounds, the majestic hinterland that surrounds Byron Bay offers a great alternative, we also have a number of accommodation options for the hinterland including boutique retreat style accommodation. Winter is a fantastic time to visit Byron Bay with day time temperatures still reaching the low 20s, perfect for whale watching, hot air ballooning, fishing, bushwalking and with water temperatures still bearable, so you can still do all those water activities such as surfing, diving and kayaking. Winter is a great time to visit Byron Bay as accommodation prices are at their lowest for the year. With all the usual activities, restaurants and nightlife Byron is renowned for, this is the perfect time to visit without the crowds. So grab your family, friends or loved one and visit Byron Bay Holidayz for all your accommodation needs. We can also organise tours and activities, day spas, massages and general information regarding festivals, markets and whats happening in Byron Bay and its surrounds. Byron Bay Holidayz has a large range of Holiday Houses and Beach Houses, but also have alternative accommodation for singles, couples and small groups. We have numerous apartments from 1 bedroom to 4 bedrooms as well as resort style accommodation, motels, hotels and cabins in caravan parks also available. You can search and book properties online at byronbayholidayz or visit our Hot Deals page. If you need assistance or are not familiar with Byron Bay, contact our local reservations team on (02) 66856985 or mobile 0404960716 email [email protected] to discuss your reservation requirements or other information.